Eight-time Isle of Man TT winner Charlie Williams will contest the 500cc Classic TT race, 30 years after he last competed on the Isle of Man Mountain Course. The 63-year-old will race in a three-strong team along with Bill Swallow and John Leigh Pemberton. The Cheshire rider commented that he was "excited" to return. "I really wanted to be involved in the Classic TT, but didn't envisage ever racing in it," Williams said. "Now that I have committed to do it though, I am really excited about the chance to race on the Mountain Course again, without any of the pressure I had during my career. " The trio will be riding 500cc Manx Norton's for Works Racing Motorcycles, owned and run by Patrick Walker and Miles Robinson. 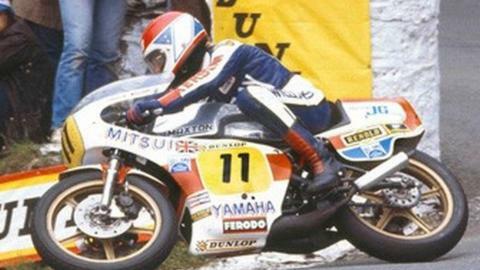 Organisers said he is one of the "greatest TT competitors of all time". He came to the fore at the Manx Grand Prix, winning the 1971 Lightweight event and the Cheshire rider went on to enjoy a phenomenal TT career, particularly in the 250cc and 350cc classes, in the 1970s and 1980s taking nine wins and 21 podiums.